Future technologies are around the corner, and the N8800+ is ready. With its PCI-e slot, the N8800+ can accommodate a number of emerging technologies. Add a 10Gb Ethernet adaptor and experience the lightning-fast file transfers. With PCI-e expansion, the N8800+ is ready for whatever may come. In business, having access to mission-critical data at all times is crucial. The N8800+ is equipped with a dual Disk On Module (DOM) design to ensure flawless operation and maximum uptime. 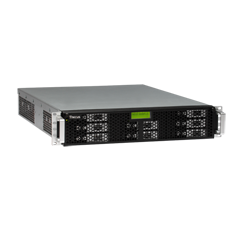 The N8800+ supports iSCSI initiators, which allows servers to access it as a direct-attached-storage device over LAN or Internet with excellent transfer speeds. 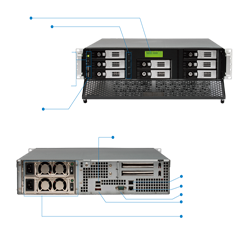 With this capability, users can centrally manage and deploy storage for their entire network. In addition, the N8800+ is also stackable, enabling users to connect their unit with up to five additional N8800+s via a master system as a large data pool. With iSCSI and stackability, expanding the capacity of application servers is both quick and easy. 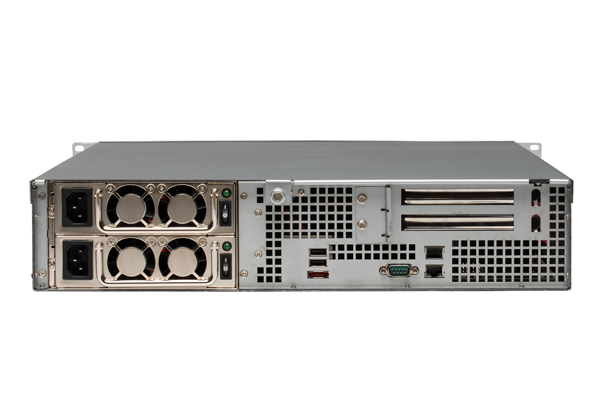 Aside from being iSCSI ready, the N8800+ offers unmatched flexibility. 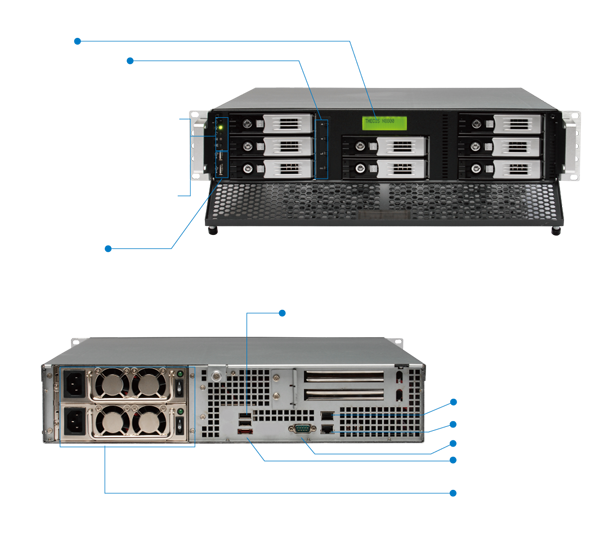 Support for multiple file systems including Ext3, XFS and ZFS, as well as online RAID migration and expansion, means that the N8800+'s data protection and capacity are upgradable and can be integrated into virtually any company network with ease. 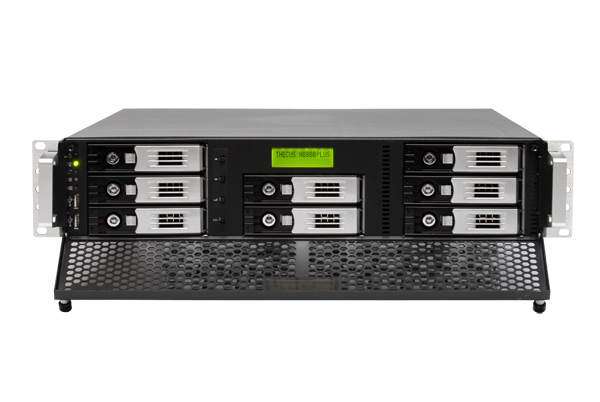 Users can add larger hard disks to available slots and join an existing RAID volume. 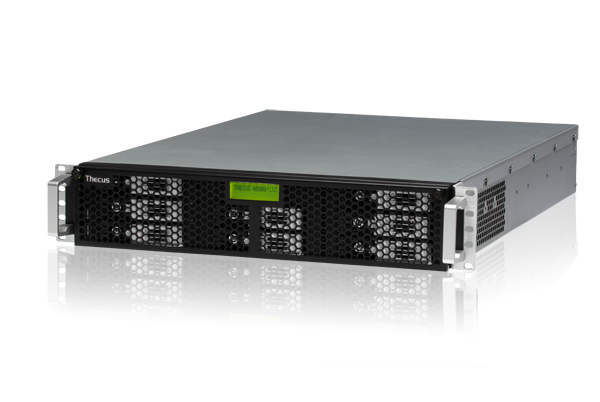 The N8800+ will automatically rebuild the RAID array and increase storage capacity. The N8800+ is capable version control via a snapshot function with the ZFS file system, allowing users to efficiently create and restore remote backups. For users, the result is total data security and peace of mind. Businesses around the world need every advantage they can get against their competitors. The faster an organization reacts, the more likely they are to come out on top. 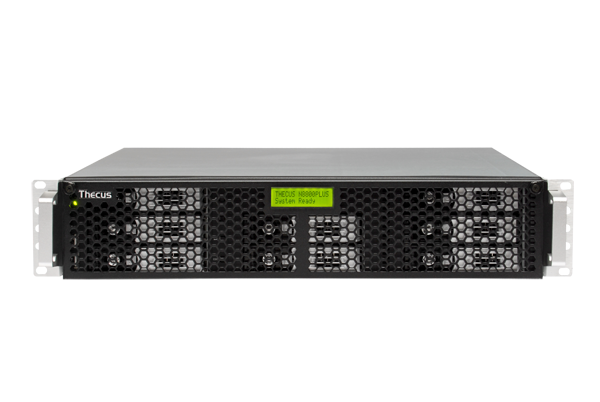 Top corporations know that speed is an essential component of competitiveness and with that in mind, digital storage leader Thecus® Technology is pleased to announce the N8800+ 2U Rackmount Storage Server. With massive storage, blazing speed, and an internal PCI-E 8X slot that is compatible with next-generation 10Gb Ethernet cards, the N8800+ is the ideal network storage solution for the enterprise on the cutting-edge. With the N8800+, performance is the name of the game. Inside the N8800+ lies an internal PCIe x8 slot, which delivers up eight times more bandwidth than the PCIe x1 slot found in the N8800. This slot makes the N8800+ fully equipped to accommodate the latest 10Gb Ethernet cards, allowing corporations to upgrade their networks to blazing-fast 10GB speeds for maximum data transfer rates and throughput. To enable smooth operation for even multiple corporate clients, the N8800+ is powered by Intel® Celeron M CPU and comes loaded with 2GB of DDR2 memory, which means more productivity and less waiting around. Companies with large storage needs will love the N8800+. 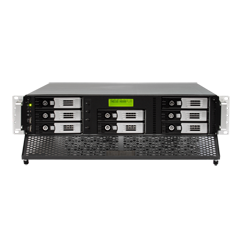 Eight SATA drive bays provide up to 16TB of storage, and organizations that need more simply have to add another N8800+ to their data center using the stackable feature. 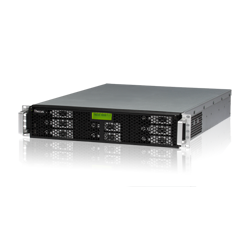 Up to five N8800+es can be connected together and accessed via a master system for seamless storage expansion. All of this data can be protected via multiple RAID modes including RAID 0, 1, 5, 6, 10, and JBOD, and these can be managed easily with online RAID expansion and migration. To deliver maximum uptime, the N8800+ comes with Thecus®' Dual DOM design, which includes a secondary DOM designed to reprogram the primary DOM should it fail for any reason. 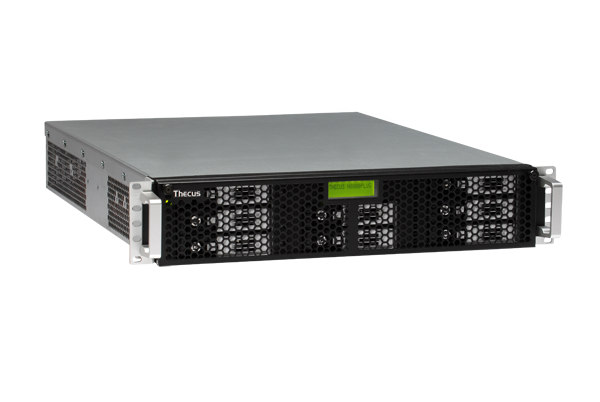 An optional redundant power supply ensures that company data is always safe and secure, even during a power failure. 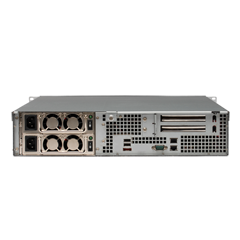 And for unbeatable flexibility, the N8800+ also supports iSCSI thin provisioning, and is fully compatible with iSCSI initiators. With the popularity of VMware, virtualization technology is now widely used in the IT world. Thecus® is now the member of Technology Alliance Partner (TAP), and N8800+ is now officially VMware Ready certified.